We are fast approaching the silly season of gaming with Q4 of 2015 just around the corner. A plethora of games are set to launch in this time, with most having their dates confirmed and pencilled into pre-order calendars everywhere. 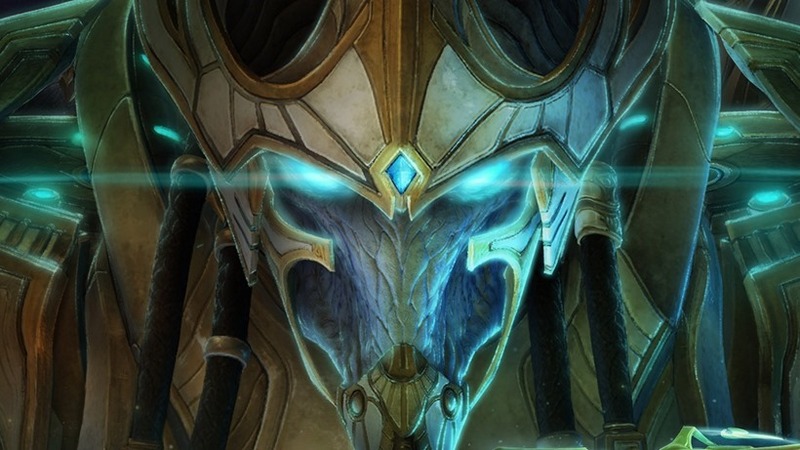 Almost all but StarCraft II: Legacy of the Void, which still has a mysterious Q4 banner lingering around it. One that might have just cleared up. 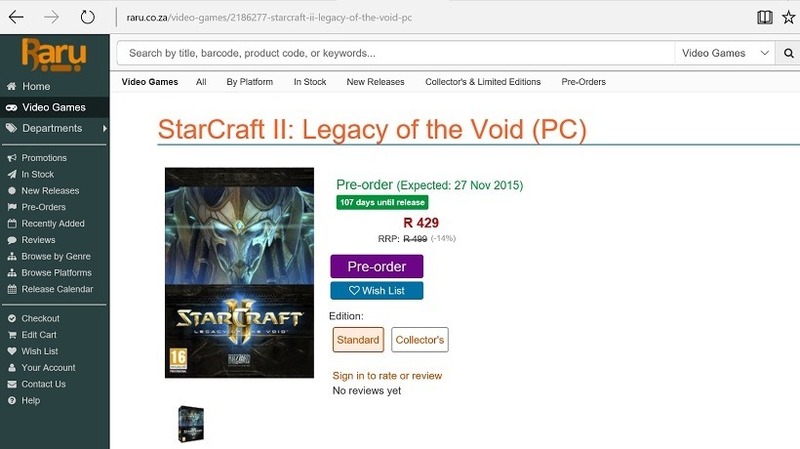 According to South African retailer Raru, the highly anticipated conclusion to the StarCraft II trilogy will launch on November 27th. If you quickly check your calendars, that’s a Friday – which doesn’t exactly line-up with traditional Tuesday launch dates in the USA. It does, however, fit with common South African and European release day practices, lending the listing a lot of credibility. Raru is also incredibly notorious for leaking sensitive information through pre-orders – with the online retailer first leaking the existence of Greninja, Jigglypuff and Splatoon Amiibo, all three of which were accurate. They also recently leaked a suspected release date for the upcoming MewTwo Amiibo, although we’re still waiting to see if that pans out. In addition to that, many games up for pre-order on the website that don’t yet have confirmed release dates are automatically given December 31st placeholders. Something which Legacy of the Void has clearly avoided. It’s normal for retailers to have access to information like this well before it’s public knowledge, and we live in a time where accidental pre-order postings come at a dime a dozen. Blizzard made it very clear at Gamescom that Legacy of the Void would be out by the end of the year – so it’s not too far-fetched to suspect we now have our date.